Zax Beeswax supports all law enforcement officers that put their life on the line to protect and serve us each and every day. 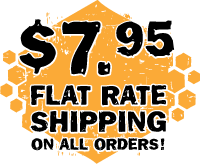 Not only as a company, but as citizens, we have an obligation to support our police officers. The thin blue line represents those officers who have made the ultimate sacrifice as well as those who still keep out streets safe. Each stripe on the emblem represents certain respective figures: the blue center line represents law enforcement, while the top black stripe represents the public and the bottom the criminals. The idea behind the graphic is that law enforcement (the thin blue line) is what stands between the violence and victimization by criminals and the would-be victims of crime. Its a symbol of honor among the law enforcement community. 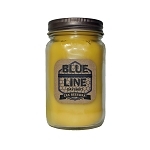 Our specialty "Blue Line" beeswax candles are handmade by law enforcement officers and veterans. 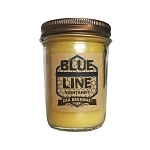 A perfect candle representing a noble profession. 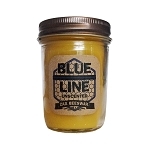 50% of ALL Blue line candle sales is donated to law enforcement charities supporting law enforcement and those who have made the ultimate sacrifice.